Viewing topic "XP50 Pianos for use on Motif ES/XS"
Some friends asked to post it again. XP50 (same as of JV1080) Pianos for use on Motif ES/XS. Just load it and see the voices on USER 1 (there are 6: voices 1 to 6). The file size is 18MB and uses the RAM (DIMM) memory. Please don’t forget to salve your voices before load this one. 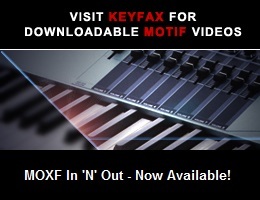 Thank you for making the XP50 sounds available on Motifator. Hi Folks, link fixed, download working now. Enjoy. The ES set expands properly. The XS set, which I planned on downloading, downloads, but when I try to expand the .zip with Archive Utility (Mac), it gives an error, saying, “Unable to expand “XP50_Piano_CesarSound_MotXS.zip” into Desktop. (Error 2 - Now such file or directory)”. This does not make sense, as the computer seems to think that there is nothing inside the .zip.